Boykin Spaniel | I am I think. I think I am. Little Reason had her photo published in the March 2009 issue of Bark magazine. My issue came in the mail yesterday. Eagerly, I flipped through the pages waiting to find her presence gracing the pages. There she was on the bottom center of page 19. A short article talked about which states have “state dogs.” A young boy in New Hampshire is petitioning to have a state dog named there. 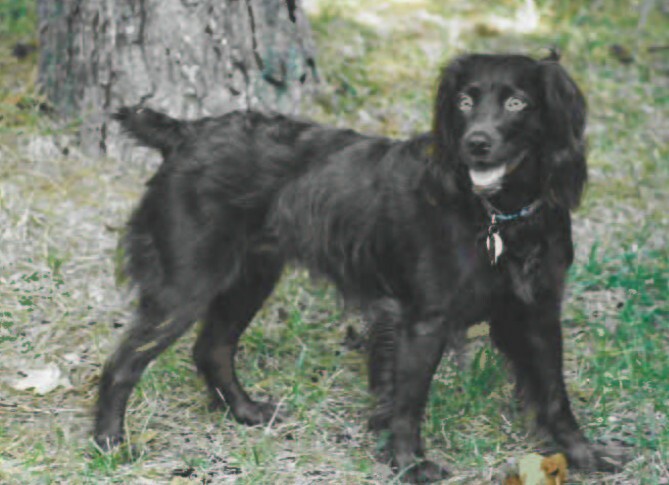 Reason was a Boykin Spaniel, and surely one of the best of her breed. I only ever saw one other Boykin as beautiful as she, and his name was “God.” His owner realized the beauty of our two creatures and asked to breed God with Reason. Of course Reason was spayed. Her breed is the state dog of South Carolina. Boykins are hunting dogs by breed, and while we didn’t hunt, Reason loved the outdoors — hiking Umstead Park, swimming the Eno River, feeling the breeze gently blow her fluffy ears about, rescuing rocks from the edge of Lake Johnson and Lake Lynn, and without a doubt she loved rolling in any smelly mess of a treasure the forest floor might hold.